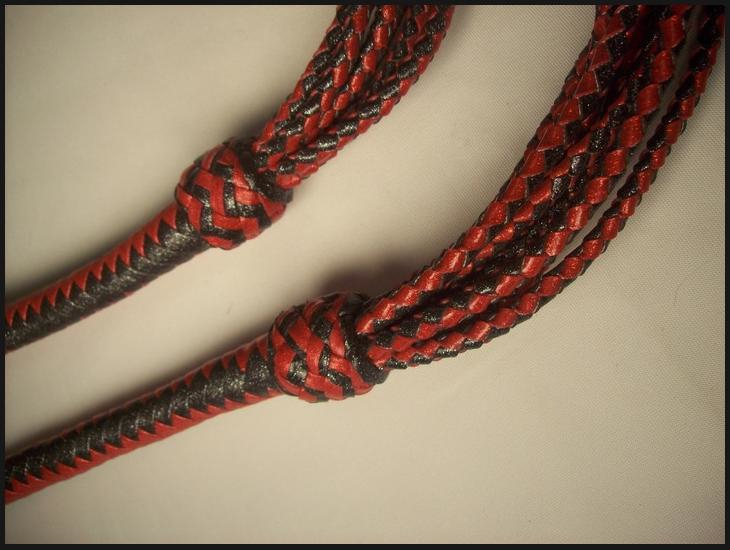 A cat oʼ nine tails (cat) is an impact toy with nine braided tails. Many cats are based on a rigid handle design while mine are based on a flexible, whip handle design. This toy is incredibly diverse in terms of the sensations it can deliver. It is one of Mr.A’s favorite toys to use as well as one of his favourites to make. 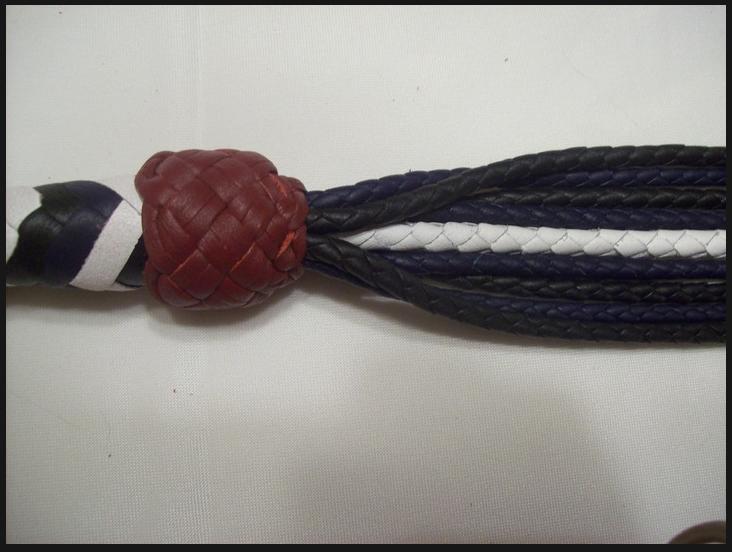 The piece consists of a shot loaded whip handle and the braided tails. The total length is approximately forty inches from end to end for the ʻdefaultʼ design. With that configuration, the cost is $250. This piece is also available in a variety of lengths and styles so donʼt be afraid to let your imagination run wild.